This short guide will show you how to use Microsoft Azure Automation for managing the start and stop of your Microsoft Azure Virtual Machines. Here are the steps needed to get everything up and running. 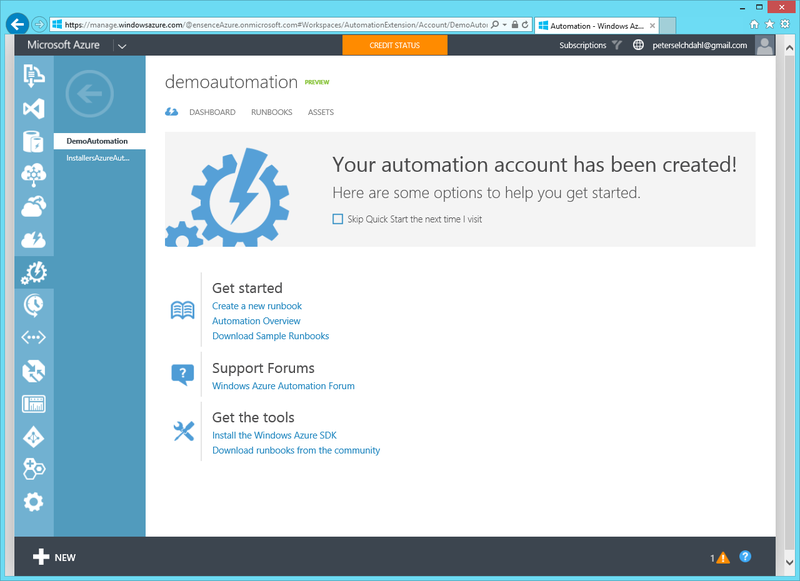 Sign in to the Azure Portal and navigate to Automation. Create a Certifcate Asset (It must be a Management Certificate) and a connection asset.